Avoid toxic chemicals when you go to the cleaners with a new Guide to Non-Toxic Dry Cleaning! Download a handy printable guide from TEA and Environmental Defence to help you get toxic chemicals out of your clothes. Follow the instructions on how to cut and fold the card into a handy resource you can keep in your wallet. 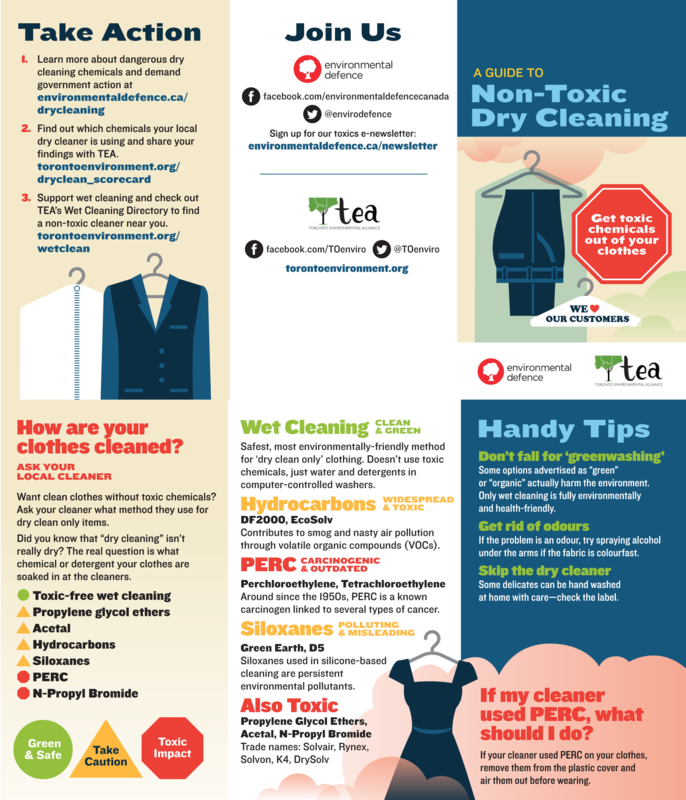 This guide is based on TEA's Dry Cleaning Scorecard. Click here for more resources on dry cleaning and toxic-free alternatives.